What scientists really know about how marijuana exerts its effects is updated every summer at the International Cannabinoid Society’s annual meeting. 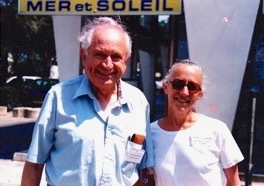 In late July, 1998, with no one from the news media showing the slightest interest, some 200 ICRS members convened in a resort town on the French Mediterranean called La Grande Motte to review their latest findings. Part of the tab was picked up by Sanofi Recherche, a large pharmaceutical company with headquarters in nearby Montpelier. The first plant cannabinoids were identified in the early 1940s by Roger Adams, a University of Illinois chemist who isolated cannabinol, cannabidiol (CBD), and a crude form of delta-9-tetrahydrocannabinol (THC). CBD is the predominant compound in cannabis plants that have been bred for fiber, i.e., hemp. THC is the predominant compound in cannabis plants that have been bred for psychoactive potency, i.e., marijuana. To date more than 60 cannabinoids have been found, most of them chemically inactive when inhaled or ingested into the body. The cannabis plant also contains hundreds of chemical substances that are not unique to it. In 1974 Eli Lilly produced a synthetic THC which has been marketed in England and elsewhere as Nabilone. In the mid-1980s Pfizer produced a synthetic cannabinoid suitable for research. Pfizer’s synthetic, CP-55940, proved to be highly psychoactive and couldn’t be marketed as a medicine. But unlike THC, which exerts a weak, fleeting effect, CP-55940 would bind long enough to reveal where in the body it acted. The existence of cannabinoid receptors in the brain —proteins on the outside of certain cells to which cannabinoids bind, inducing a squaredance of molecular events within the cells— was established in 1988 by Alynn Howlett and William Devane at St. Louis University. The researchers were astonished to find that these receptors, now known as CB1 receptors, are at least 20 times more prevalent in the brain than opioid receptors. C1 receptors are concentrated in the cerebellum and the basal ganglia (regions responsible for motor control, which may explain why marijuana reportedly eases muscle spasticity); in the hippocampus (storage of short-term memory); and in the limbic system (emotional control). Cannabinoids acting through the CB1 receptors seem to play a role in the processes of reward, cognition, and pain perception, as well as motor control. In 1992 a second cannabinoid receptor was found in cells of the immune system in “peripheral” areas of the body. The discovery of this second receptor type —called the CB2 receptor, or the “peripheral receptor— strongly implied that effective non-psychoactive drugs involving the immune system could be developed. A second endogenous agonist, 2-arachidonyl glycerol (2-AG), has been found in the brain at concentrations 170 times greater than anandimide. The endocannabinoids are said to be weak agonists. (An agonist is a drug that binds to and activates a receptor.) They have a slightly weaker affinity for the CB1 receptor than THC, which itself is a low-efficacy partial agonist. This makes the endocannabinoids hard to study and helps explain the preference for stronger, longer-lasting synthetics as receptor probes in the research labs. Researchers now have 10 different synthetic cannabinoids at their disposal. 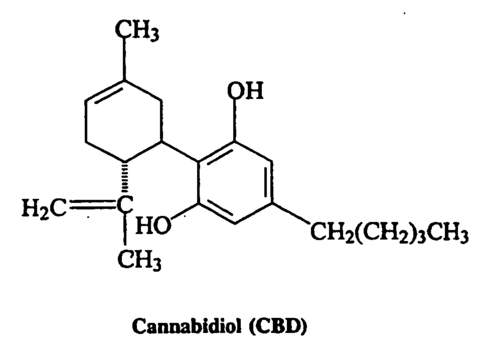 WIN 55212-2, an aminoalkylindole developed by Sterling Winthrop in the 1980s, is considerably stronger than THC. (Sterling Winthrop is now owned by Sanofi, which in turn has merged with Synthelabo. 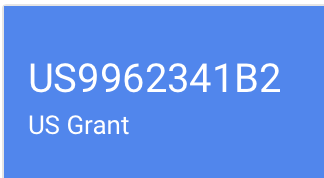 The rights to distribute WIN 55212-2 are owned by RBI Neurochemicals of Cambridge, Mass. Mechoulam’s lab at Hebrew University has created several synthetic agonists. In addition to the synthetic agonists that bind to and activate the cannabinoid receptors, researchers have been employing two antagonist drugs from Sanofi —one that blocks the CB-1 receptor and one that blocks the CB-2 receptor. Antagonists enable researchers to see what the body does when it is deprived of cannabinoid activation. 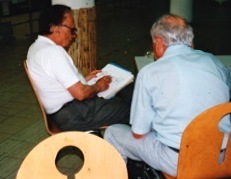 The effectiveness of a new antagonist from Pfizer was discussed in a paper at the 1998 ICRS meeting. Sanofi has an antagonist drug in clinical trials in Europe. It is being tested as an antipsychotic, but other effects —on appetite, memory, etc.-will be assessed. Sanofi also has several promising agonist drugs in the pipeline, according to researcher Francis Barth. The company has decided to position itself at the forefront of cannabinoid research because the therapeutic potential outweighs the political constraints. As Barth put it in a recent review paper, “Potential therapeutic applications range from the well-described analgesia, anti-emesis, appetite stimulation and antiglaucoma properties to the less documented antirheumatic, antipyretic and bronchodilatory effects.” What drug company can ignore such a range of applications? “They all have their toes in the water,” says Lesley Iverson, a British scientist sent to the ICRS conference as an observer by the House of Lords. Glaxo Wellcome, Roche, and Bayer A.G. were all represented by men and women in their twenties and early thirties who are designing and testing cannabinoid drugs. Merck Frosst has developed two potent agonists, which were described at the meeting as being selective for the CB-2 receptor. Eli Lilly has a synthetic THC drug called Nabilone on the market in Switzerland, England, Ireland and Canada to combat nausea, although it is less efficacious than smoked marijuana and failed US FDA toxicity tests. Companies that for years saw nothing but potential competition in cannabis now see a source of marketable synthetics. One young scientist from Bayer said he’d been advised by the head of drug development, as he left for the conference, “If it ends in -oid, you must avoid.” But he seemed more amused than threatened. The job of organizing the annual meeting is handled by Diane Mahadeen, an experienced publicist who served for five years as a consultant to the ICRS before she was formally hired as director in 1997. She operates out of an office in Burlington, Vermont. Mahadeen was surprised when the number of members registering for the meeting in La Grande Motte approached 200. Recent meetings had all been in North America, where most of the members lived, and she’d expected a drop in the number attending. Instead there’d been a 75-member jump from the previous year. So Mahadeen was still trying to book extra rooms on the evening everyone was due to arrive. Dr. John McPartland outside the Hotel Mercure.. 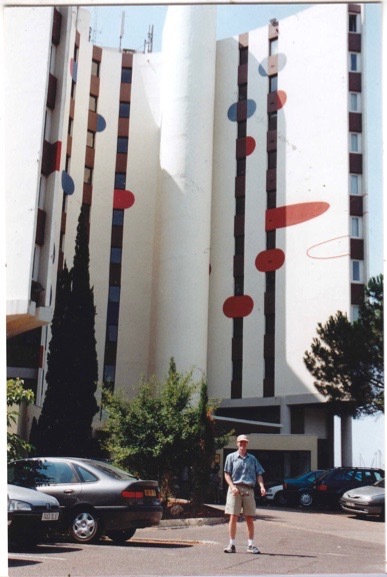 The town to which Sanofi had invited the cannabinoid researchers, La Grande Motte, was built in the ’60s on a sandy marsh reclaimed from the mosquitoes in an attempt to increase tourism in the Languedoc region. The architect, Jean Balladur, was in his pyramid period, and the downtown skyline consists of 8- to 10-story hotels that slope away from the observer as they rise. Balladur is quoted in the “Office de Tourisme” brochure saying “La Grande Motte will enter the 21st century young and new, rising out of the sand like a problem-free child.” The buildings already showed more signs of deterioration than the centuries-old ones we’d been admiring en route, but we had a problem-free time there, saw the only flamingoes in Europe gulping shrimp in the lagoons, and heard a hot blues trio at a sidewalk cafe around midnight. LGM draws a lively crowd of French families whose four-week vacations are subsidized by their employers and government. “A little bit of socialism goes a long way,” Rosie observed. The ICRS members were staying at the Hotel Mercure, a U-shaped 10-story building near the beach. The meeting was a long block away at the “Palais des Congres,” an auditorium that, from afar, looks like a giant oil can laid on its side. Johnny Clegg and Juluka had played there a few nights before the cannabinoid researchers hit town. The schedule called for 70 papers to be presented over the course of three days. Speakers had a total of 15 minutes to describe their research and answer questions. They were supposed to talk for 10 and leave five for questions. All relied on slides to help tell their stories —the standard scientific-meeting format. The details of another 63 studies were described on posters tacked to partitions in a large room where coffee was served during the breaks. A few hours were set aside for sessions at which the authors stood by their posters and answered questions. ICRS members are university-connected scientists and/or working for pharmaceutical companies. Many are funded by the National Institute on Drug Abuse, a U.S. government agency whose stated interest for years has been to prove the harmfulness of marijuana. Some of the brilliant young researchers we met in La Grande Motte said, sincerely, that taking NIDA money doesn’t influence their objectivity — they’re conducting basic scientific research that will explain the body’s endogenous cannabinoid system and lead to useful synthetic drugs. Nevertheless, the net effect of virtually all the funding going to people who are trying to develop synthetics or “elucidate the basic mechanism” is to deflect research away from the plant itself. A postdoc rationalized his choice thus: “If you care about cost-effective treatment for individuals, then you would be in favor of the classic natural cannabinoids. However, if you care about drugs that optimally treat the various conditions, then you start looking at receptor distribution and maximizing activity and things like that.” All but a very few of the ICRS members in La Grande Motte fell into the latter category. “The field is moving away from the plant,” is how Dale Deutsch, a biochemist who edits the ICRS Newsletter, sums up the trend. The first two days of the meeting were devoted mainly to reports from pharmacologists and biochemists on the processes by which cannabinoids are made, exert their effects, and get broken down. The focus was on the molecular level. For example, Romelda Omeir, a graduate student in Deutsch’s lab at SUNY Stony Brook, reported on her study of how anandamide gets broken down. The enzyme that does the dismantling had been identified in ’93. [An enzyme is a large protein molecule consisting of hundreds of amino acids that catalyzes a biochemical reaction.] 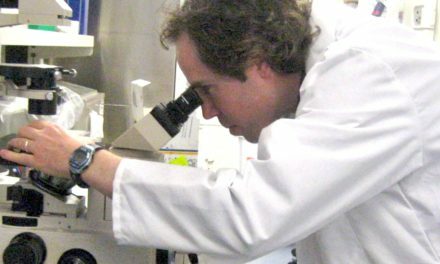 Omeir used a technique called mutagenesis analysis —altering the amino acids one by one until the enzyme ceases to work. After much painstaking benchwork she found the “active site” —Serine 241— the amino acid that actually snips anandamide, making it dysfunctional. Someone else in Deutsch’s lab is studying the part of the enzyme that holds anandamide in place while Serine 241 is snipping it. And so it went (mostly over our heads). Razdan described an effort to make the anandamide molecule less susceptible to chemical breakdown by replacing the amide bond with urea or carbamate derivatives… Meschler and Howlett described a new antagonist for the CB-1 receptor, manufactured by Pfizer, called CP-272871… Piomelli of the Neurosciences Institute in San Diego (funded by Novartis) has determined how the production of the endogenous cannabinoid 2-AG in neurons is controlled by NMDA receptors. There was no reference to a promising new medication —no mention of the word “patients” — until Raphael Mechoulam read a paper describing “A Novel Group of Stable, Non-Hydrolysable Endocannabinoid Analogs.” The grand old man of the field, now in his mid-60s, talks and gestures with a charming Israeli lilt; for some reason he reminded me of Mr. Natural, clean-shaven. Mechoulam reported that he and his co-workers, by adding an ether group to 2-AG, had created a variant that is more than three times as strong (in mice tested for the classic tetrad of effects) and lasts longer (40 minutes compared to six). They had named it HU —for Hebrew University— 310. “HU-310 causes a reduction of blood pressure which is considerably more potent than that observed with anandamide or 2-AG,” Mechoulam said like a throwaway line. HU-211 is the mirror image of a high-potency synthtetic analog of the THC molecule, but has no psychoactive effects whatsoever, according to Mechoulam. A small Israeli-American company called Pharmos has spent more than $8 million testing its anti-stroke effects in animals, and a number of papers have been published on its neuroprotective properties. Recently U.S. Army researchers tested HU-211 as a treatment for the effects of nerve gas and found a 70% reduction in brain damage. The Phase I tests of HU-211 showed no toxicity in humans. Results are due in September from a Phase II trial involving 60 patients with brain damage —considered similar to the damage caused by stroke— or from car crashes and other closed head injuries. The patients were all treated after their injuries, 30 with HU-211 and 30 with a placebo. They were to be assessed one week, one month and six months after their injuries. If HU-211 passes its clinical trials, Pharmos intends to market it as “Dexinabinol,” dex being a reference to its chemical righthandedness. “If we see that HU-211 works and we get a lot of money,” Mechoulam adds, “then we can conduct trials on a long list of compounds that are just waiting around to be developed. We also want to test HU-211 as a drug for chronic pain. We’ve known for five or six years that it seems to reduce pain in animals, but we don’t understand the mechanism. Much of the research seemed like good news for medical marijuana, albeit indirectly. The workings of the endogenous cannabinoid neurotransmitter system, the potency of the synthetics, the modulating effects of other cannabinoids on THC —studies in all these areas help to explain and substantiate what cannabis club members with a wide range of conditions have been reporting about safety and efficacy. • In “Anandamide Synthesis in Cells of the Immune System,” Burstein observed that THC stimulates production of anandamide —and that anandamide can stimulate its own synthesis— suggesting a positive feedback mechanism. Being happy makes you happy. • In “Activity-Dependent Release of Anandamide in Basal Ganglia of Freely Moving Rats” a group from the Scripps Research Institute in La Jolla found that running induces production of anandamide, just as marathoners have reported analgesia and altered consciousness from endorphins after exercise. • In “Interactions Betwen Vanilloids and the Endogenous Cannabinoid System,” Bisogno et al described how anti-pain and anti-inflammatory effects are triggered by the inhibition of endogenous AEA inactivation by mast cells. If capsaicin inhibits the normal inactivation of anandamide… this may be why people enjoy eating hot foods. • David Mason’s talk about “The Role of Dynorophin A Peptides…” implied that THC works because it’s doing what the body’s chemical messenger system was designed to do in the first place. Because there are few cannabinoid receptors in the brainstem that mediate respiratory depression —the most dangerous side-effect of the opiods— cannabinoids are relatively safe in treating pain. Schuel, who is funded in part by NIDA, notes that “the smoking of marijuana by women could affect these processes in vivo.” His paper implied that it affected the processes positively, i.e., increased the likelihood of fertility. Schuel comments, “The presence of cannabinoid receptors and anandamides in gametes and somatic cells of vertebrates and invertebrates [he has found a cannabinoid-type receptor system in sea urchins] indicates that this signal system has been highly conserved during evolution.” His work seems to lend itself to a cannabinoid-based birth-control drug (for males! ), but Schuel said no backers were on the horizon for such a project. • A group at the University of Kuopio (Finland), headed by David Pate, an American scientist associated with the Dutch medical cannabinoid firm HortaPharm, showed that intraocular pressure could be lowered in rabbits by either anandamide, the Pfizer synthetic CP-55,940, or a metabolically stable anandamide analog. Pre-treatment with the Sanofi CB-1 antagonist blocked the effect of the two man-made variants, but did not block the effect of anandamide -suggesting that applied doses of the latter drug don’t function at the CB-1 receptor. It is widely acknowledged that cannabis reduces intraocular pressure in glaucoma sufferers unresponsive to other drugs, but this is the first work that implies that at least some cannabinoids lower intra-ocular pressure at the eye’s own cannabinoid receptor. • Claire Williams and co-workers at the British Institute of Food Research and the University of Reading sought to determine whether THC-induced eating is caused by “amplication of the rewarding properties of the food” or “an inhibition of satiety mechanisms.” It appears to be both —“some interaction between postingestive factors, cannabinoid activity and the intermeal satiation process. Possibly, endogenous cannabinoid activity occurs [after feeding] to inhibit satiety in preparation for a recurrence of eating. Attenuation of THC feeding by naloxone implies an important cannabinoid-opioid interaction. As opiods are believed to mediate food reward, it is possible that cannabinoids act indirectly to inhibit satiety by increasing the incentive to eat and the hedonic value of food.” Bottom line: THC makes food taste better. • Lester Bornheim, a UCSF pharmacologist who was funded by NIDA in 1985 to study the adverse effects of marijuana, has shown that cannabidiol —CBD— can inactivate an enzyme in the liver involved in the metabolism of most clinically useful drugs. If you inactivate an enzyme involved in a drug’s breakdown, you prolong the amount of time the drug continues to function and increase its efficacy. Bornheim is currently trying to define the molecular mechanism of this inactivation. Previous studies have shown that CBD may work as an anti-epileptic either directly or by enhancing the effects of other drugs. One of the posters described the operations of Maripharm, a Dutch firm that provides standardized cannabis to rural pharmacists whose patients don’t have access to the clubs of Amsterdam. Maripharm placed a stack of cans ostensibly containing their product along with their brochures on the floor in front of their poster.They contained “patient information” literature, in Dutch. Bad News for Medical MJ? Some studies seemed like a dubious use of taxpayers money. David Gorelick of NIDA had come all the way to France with a poster entitled “Characteristics of Marijuana Users Presenting to an Urban Hospital Emergency Department.” His team interviewed 826 drug-using patients. Only 35 were identified as marijuana users. Of these, four used marijuana exclusively; 21 also used cocaine and other illicit drugs, six also used prescription drugs. The entire 18-month study involved only four real marijuana users —while providing employment for Gorelick and five co-authors! NIDA provided “special support” for a section of the program designated “The Frontal Lobe Symposium” —six talks held on the afternoon of the second day. NIDA director Alan Leshner had been scheduled to make the introductory remarks, but instead faxed a statement to be read aloud by Monique Braude, a past ICRS president, recently retired after years of employment by NIDA. Leshner struck the first blatantly political note of the conference when he urged the researchers to get “into the fray” by publicizing “the harm involved in using marijuana” and supporting Donna Shalala’s “Marijuana Prevention Initiative.“ Even in NIDA’s own special section of the meeting, however, some good news about medical marijuana was revealed inadvertently by Peter Fried of the Department of Psychology, Carleton University, Ottawa. 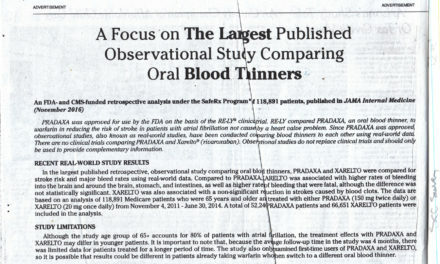 Since 1978 Fried has been conducting a study designed to measure “The impact of prenatal marijuana exposure on executive functioning (EF) in offspring.” Executive Functioning is defined by Fried as “a shorthand for a set of processes that are involved in future oriented behaviors that include aspects of attention, judgment, planning and decision making. EF involves the identification of subgoals, conjuring up and mentally assessing different response options, and concomitant self-monitoring and self-correction…” Who would have thought that when the social scientists took the floor the material would become harder to grasp? Fried concluded that prenatal marijuana exposure adversely affects children starting at about age six. “In early adolescence these offspring were negatively impacted on tasks requiring impulse control and visual analysis/hypothesis testing…” Between 12 and 16 they “differed from controls on dimensions of behavior, attention and certain tasks requiring visual analyses…” Fried’s data revealed that the children of women who used marijuana moderately while pregnant had higher I.Q.s and more friends than the children of the non-users at age 12. “If the press ever gets wind of this,” he said “the game is over!” Was this an attempt at wry humor or a Friedian slip? Ed Rosenthal of High Times bluntly asked the speakers who had participated in the frontal lobe symposium, “Do any of you think your work is influenced by Alan Leshner’s bias?” There was a pause as the panelists looked at each other to see who would respond. After a few beats the diplomatic Rik Musty remarked, “Science is always influenced by the culture in which it’s conducted.” And so ended day two. Mechoulam rose to restate the evidence for cannabinoids functioning as neurotransmitters. “It is not just a membrane effect,” he said. “There is an interplay of effects on the receptor and membrane.” This drew a brief outburst of applause. Nahas repeated that the evidence was all in the literature and cited studies done in the 1970s. 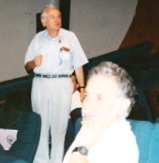 As Mechoulam was asking “What receptor is it that you illustrate in your slide there?” the chair of the session, UCLA pulmonologist Donald Tashkin said that “in the interests of time,” the discussion should be continued elsewhere. Aidan Hampson —who got his PhD from UCSF two years ago and is now working at the National Institutes of Health in Bethesda— reported results with cannabidiol and THC that seem to parallel Mechoulam’s with HU-211. CBD: A Treatment for Breast Cancer?